Dixie is a superb 13.1hh, 6yo, welsh B mare, DNA tested silver palomino. Registered with WPCS, APSB, RPSBS, ASPA & EA. This little superstar is training Medium Dressage, with shoulder in, travers, leg yields, ronvers, half pass, rein back, walk - canter, counter canter & flying changes established! Not only is Dixie a Dressage diva, she has an extremely scopey jump, jumping roughly 70cm show jumps and cross country with ease! She has the trainability, movement and looks to go all the way! 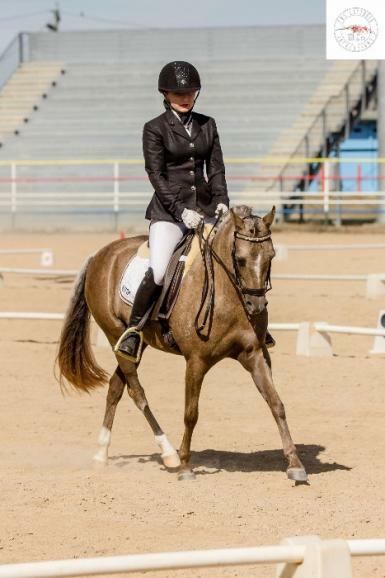 Dix can be ridden by leadliners, children and professional adults - her attitude or work ethic does not change. 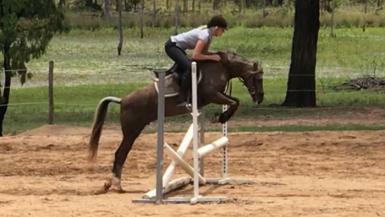 Dixie is not a hot or marey pony, she is very sensible, easy and truly a pleasure to ride. She has won many broad ribbons, even at National level. 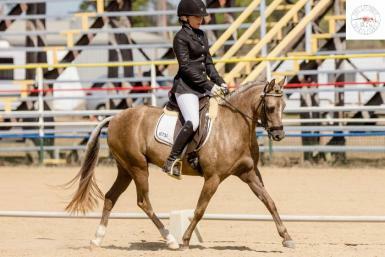 If you are looking for a seriously competitive mount for your child, this pony will succeed (AND DOMINATE) in the show ring, Interschool, Pony Club, EA & Pony Dressage circut! One in a million pony!! Tanlee Dixie Chic is available for viewing NOW! Owner is asking $12 500 - gear included. PM or contact 0439 040 987 to book a viewing time - this magnificent pony will not last long!